Julie A. Winkelstern, Arthur E. Jongsma Jr. 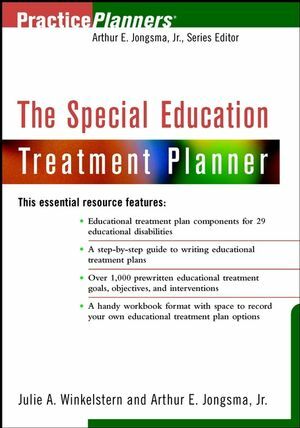 The Special Education Treatment Planner provides all theelements necessary to quickly and easily develop formal educationtreatment plans that take the educational professional a stepfurther past the writing of goals for Individualized EducationPlans (IEPs). The educational treatment plan process assists theprofessional in identifying interventions and communicating toothers the specific method, means, format, and/or creativeexperience by which the student will be assisted in attaining IEPgoals. ARTHUR E. JONGSMA, Jr., PhD, is the series editor for thebestselling PracticePlanners. He is also the founder and Directorof Psychological Consultants, a group private practice in GrandRapids, Michigan. JULIE A. WINKELSTERN, MA, EdS, is a special education administratorand a school psychologist in Grand Rapids, Michigan. 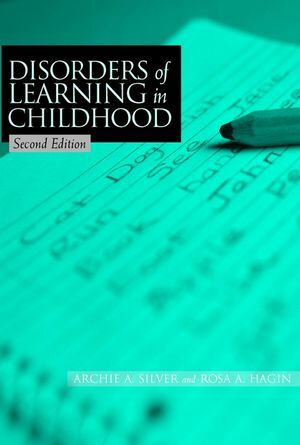 Preschool Children with Developmental Delays. Appendix A: Bibliotherapy for Parents. Appendix B: Bibliography for Professionals.